There are other tofu marinades besides Asian? Oh yes! 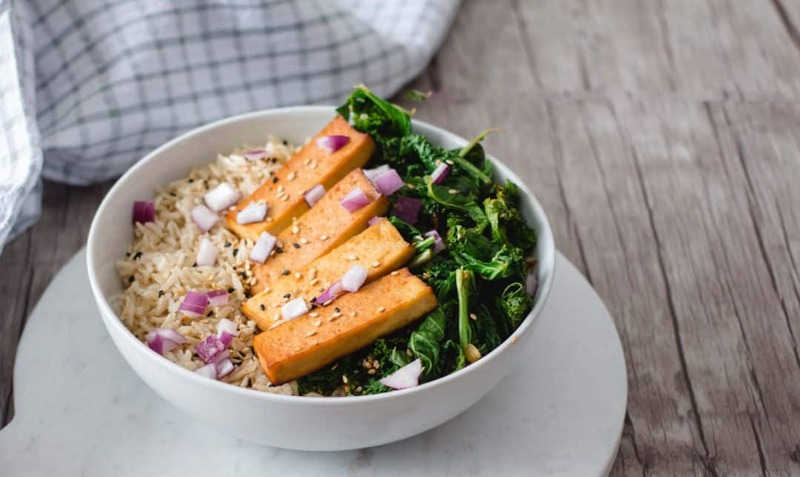 This tofu is soaked within a delicious mustard and maple syrup marinade. I love the marriage of flavors in this sauce—sweet, sour, salty, and spicy. I highly recommend trying this marinade for baked tofu; the texture of the final product is incredible. Caramelized on the outside but wet and sticky on the inside, it’s an absolute treat! In a bowl, mix all the ingredients except tofu. Put the tofu in a dish with a lid and pour in the marinade. Distribute the marinade through the tofu slices and refrigerate for at least 3 hours. Preheat the oven to 400º F and line parchment paper with a baking sheet. Spread the tofu and marinade on the baking sheet and bake for about 30 minutes, stirring halfway. The end result should be golden and slightly sticky tofu. 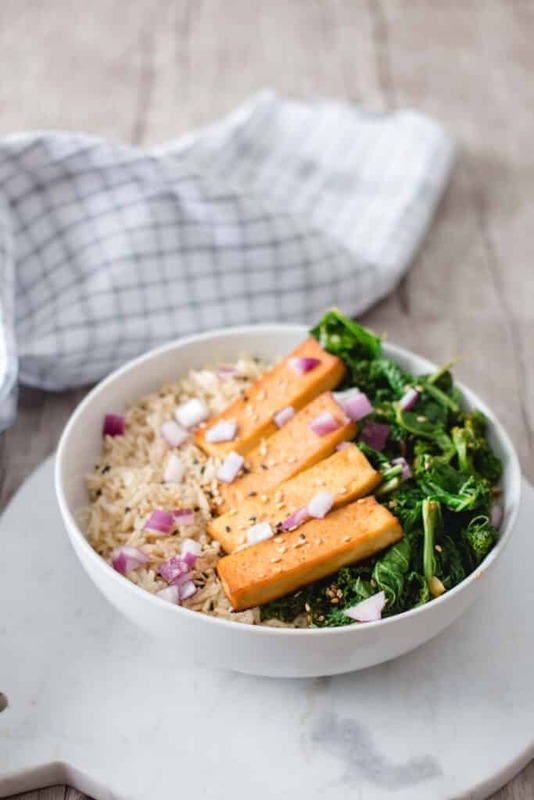 Serve hot with rice and a cooked kale.